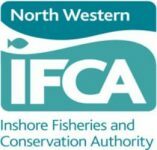 Employer: NWIFCA is lead regulator protecting the inshore marine environment and fisheries in NW England. NWIFCA District extends from the Welsh border in the south to the Scottish border in the north and seawards out to 6 miles. Aim of the Post: Under the direction of the Senior Scientist to protect the marine environment and promote sustainable use of its resources by delivering scientific and survey priorities. You will contribute to planning and delivery of a complex work programme and presentation of advice to the Authority. Main duties are impact assessment, stock assessment and species survey, GIS mapping, data analysis, reporting to the Authority and to Government. Priorities for next two years include assessments of cockle and mussel stocks, management of whelk fisheries, and developing survey and monitoring capacity of the NWIFCA’s new vessel, based in Whitehaven. A full current UK driving licence. Appointment will be dependent on passing a ML5 Medical. Names and addresses (with phone and email if possible) of 2 referees, one of which should be your most recent employer (or academic tutor). 2. A hand written letter of up to 100 words explaining your interest in the post. stock assessment and species survey, GIS mapping, data analysis, reporting to the Authority and to Government development of survey and monitoring capacity of the NWIFCA’s new vessel, based in Whitehaven. Assessing the impact of continuing and new fisheries activities on Marine Protected Areas and their conservation objectives, giving advice to the Authority and developing management measures. Delivery of intertidal and at sea survey and monitoring often with partner organisations throughout the District using GIS mapping, ATV and vessels in all weathers and at all hours usually dependant on tides. Shellfish and sea fish stock assessments and development of management advice. Scientific data collection, analysis and advice to the Authority. Keeping up to date with policy and new scientific developments relating to UK fisheries management and marine conservation. Undertaking required training to carry out field work duties and complying with all health and safety requirements. Undertaking enforcement training if required and providing support to NWIFCA enforcement team. Using GIS to create data tables, graphs and maps/charts to inform advice. Preparation and presentation of reports for the Authority. Contributing to reviews of the science programme and to annual science reports and plans. Liaison and joint working with partner agencies such as MMO, Environment Agency, Natural England, local councils, GLA, CEFAS, NGOs and many others. Liaison with the fishing industry, fisheries and conservation stakeholders, and representing the Authority at meetings. Co-ordinating a NWIFCA response to consultations on developments in the marine environment. Providing a response to enquiries from the fishing industry and the public. Contributing information for the NWIFCA website and quarterly newsletter. Providing scientific advice on fisheries and conservation policy and management. Maintaining a wide knowledge of UK environmental and fisheries legislation to facilitate the fulfilment of NWIFCA’s statutory responsibilities. This will include specifications and requirements of European Marine Sites, MCZ, SSSIs, and Ramsar sites. Contributing to achievement of NWIFCA annual plan and high level objectives. Good degree, in a Marine, Fisheries or Environmental subject. MSc (Fisheries or Marine Environment). Experience of fisheries and/or marine environmental management or surveys. Experience of littoral survey work. Involvement with the enforcement of marine conservation legislation. Up to date knowledge of UK fisheries and marine environment. Knowledge of UK and EU fisheries legislation, NWIFCA byelaws, commercial fishing, angling, marine conservation and marine NGOs. IT skills with high competency in Word, Excel, Outlook, GIS. Report writing & verbal presentation. Willingness to undertake training such as ATV use and boat handling. Advanced GIS especially MapInfo. Experience of handling ATVs and towing trailers. Experience and confidence in dealing with a variety of people. Self-motivated; able to work independently and in a team. Flexible to adapt to changing work demands and priorities. Click here to download a .pdf copy of the job description.